During retirement, you want to make sure you have access to the funds you need, while also keeping an eye toward the future. 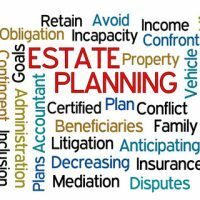 Trusts allow you to remain in control or your property and assets while ensuring your heirs are provided for in the future, and are a valuable tool in estate planning and asset protection. The following outlines some of the different types of trusts available, and the benefits they provide in ensuring the financial future of both you and your loved ones. Revocable, or living, trusts allow you to transfer ownership of your assets to others, while still giving you access and control over the financial accounts or property it contains. As the creator of the trust, you fund it with whatever assets you choose, while naming a beneficiary as the intended recipient. You can choose to act as the trustee, or manager of the trust, yourself, or name a trusted third party to assume the duties and obligations of that position. Wills are public documents and are searchable in public records, and while they make the probate process easier, they must still be approved by the probate court. A trust is a privately held document and offers the privacy of being kept out of the public record, while the property it contains is transferred directly to your heirs in the event of your death, generally avoiding probate completely. A trust can also act as a power of attorney (POA) of sorts, giving control of the assets it contains to your designated beneficiaries in the event you become incapacitated. It is still a good idea to have a separate will and POA to address any additional issues that may arise or any personal property and accounts you possess that are not contained within the trust. Qualified terminable interest property trusts, which allow you to specify future beneficiaries of the trust, for when the current trust holder passes. If you have questions about trusts or planning for your retirement, contact our New York estate planning attorneys today. At Cavallo & Cavallo, we provide the experienced legal guidance you can need in handling your financial affairs, while acting as a strong advocate on your behalf to ensure your interests are protected.